Sorry but no cars match your search. However, you might be interested in the below cars! 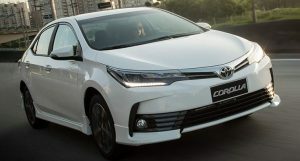 Currently 6 Toyota car models are available for sale in Abu Dhabi. The lowest price Toyota is Yaris for AED 59,000 while the highest price Toyota is the Land Cruiser which retails for AED 216,000. In addition, Toyota Fortuner & Rav 4 are also very popular in Abu Dhabi. 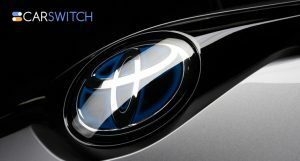 CarSwitch brings you Toyota car prices, promotions and full specifications - including news, reviews and pictures - in Abu Dhabi. Book a Test Drive today to buy straight from the official frahchise dealer for Toyota cars in Abu Dhabi. 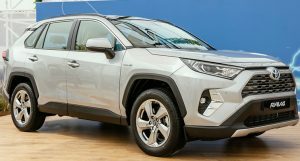 2019 Toyota RAV 4 Released in UAE! In 1994, Toyota did something incredible by launching its first ever cross over SUV, Toyota R..
First Edition 2020 Toyota Supra Sold for a Staggering $2.1 Million! Dubai’ans, this news is going to take you by surprise! The first production car of the mu..
Toyota vs. Hyundai: Head to Head! Toyota is apparently trying to expand its Gazoo Racing performance brand with Corolla. The comp.. 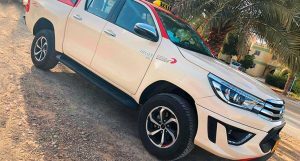 Welcome the All-New Toyota Hilux Taxi in Dubai! Smooth, stylish and spacious, Toyota Corolla is one of the most successful compact sedans in th..
2020 Toyota Supra Has Finally Arrived! 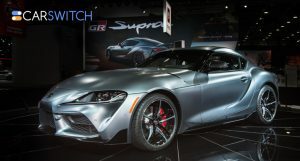 The two-door coupe, 2020 Toyota Supra, has finally been unveiled at the Detroit Auto ..
Al-Futtaim Toyota Offers Great New Car Deals in UAE! During this festive season, if you have a Dubai used car that you would like to change, Al-Futt.. In 1994, Toyota did something incredible by launching its first ever cross over SUV, Toyota RAV4. 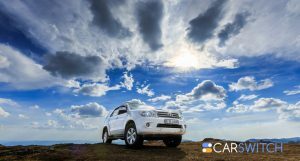 It revolutionized the SUV game and has r..
Dubai’ans, this news is going to take you by surprise! 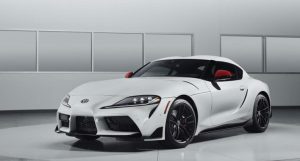 The first production car of the much-awaited 2020 Toyota Supra was bought for a..
First Edition 2020 Toyota Supra Sold for a Stag..
Toyota is apparently trying to expand its Gazoo Racing performance brand with Corolla. The company has various performance-oriented spin-off..
Looks like it’s not just the Dubai Police force that is adding new vehicles to the fleet. 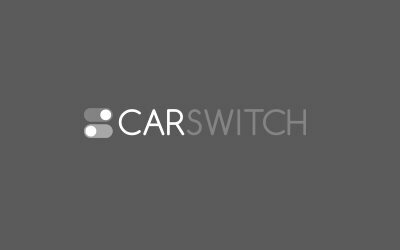 Dubai taxi is also enlarging their Taxi Flee..
CarSwitch has been rated 4.4 out of 5 based on 294 reviews on Google as of February 2018. - Read all customer reviews. Anything on your mind? Just reach out! Car Switch support team available 9am - 8pm Sunday to Saturday.